LYFT Melon Slim All White portions are flavorful nicotine & melon pouches. From the makers of EPOK, instead of using white tobacco like EPOK, fiber from eucalyptus and pine is used. Aside from the tobacco-extracted nicotine, this is an all white tobacco-free product. This is a regular strength snus. 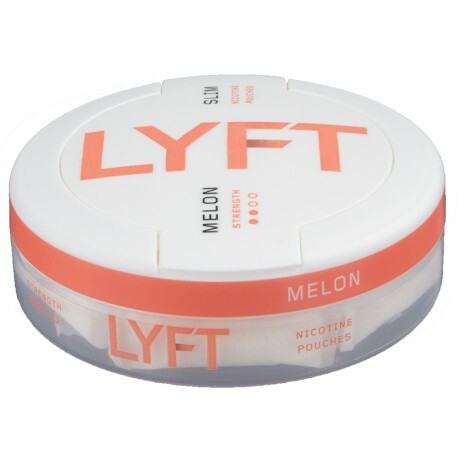 LYFT Melon Slim All White portion snus is flavored with refreshing Melon that takes you directly to the tropics. LYFT Melon's alluring sweetness blends superbly with a splash of crispy cucumber. Wow, that sounds tasty! I, Moe Unz, wonder if hotel and airfare is included? Regardless, this sounds like a wonderful tasting all white snus with a regular nicotine level. Leave your review below and let me know if they make the travel arrangements for you!